Warren Buffett, Wells Fargo's biggest fan, says the Federal Reserve is making him reduce his stake in the embattled bank. Buffett's Berkshire Hathaway (BRKB) disclosed in a regulatory filing on Wednesday that it sold 7.1 million shares of Wells Fargo (WFC) for $384 million this week. It intends to sell an additional 1.7 million shares of Wells soon. Berkshire's stake in the bank had climbed above 10%. That would trigger Fed restrictions on how much business Berkshire can do with the bank. The company is selling stock to bring its stake back below 10%. Shares of Wells Fargo fell slightly in after-hours trading Wednesday following the disclosure. They fell even more in pre-market trading Thursday after the company reported flat earnings in the first quarter. Wells has been hammered in the last year, since the bank admitted that its employees created millions of unauthorized accounts for clients in order to meet sales quotas at the bank. Buffett has stood by the bank, calling it an "incredible institution" that had made a "terrible mistake." Wells stock fell 14% in the month after the scandal broke in September. It has recovered and then some, rallying along with other banking stocks since Donald Trump's election. 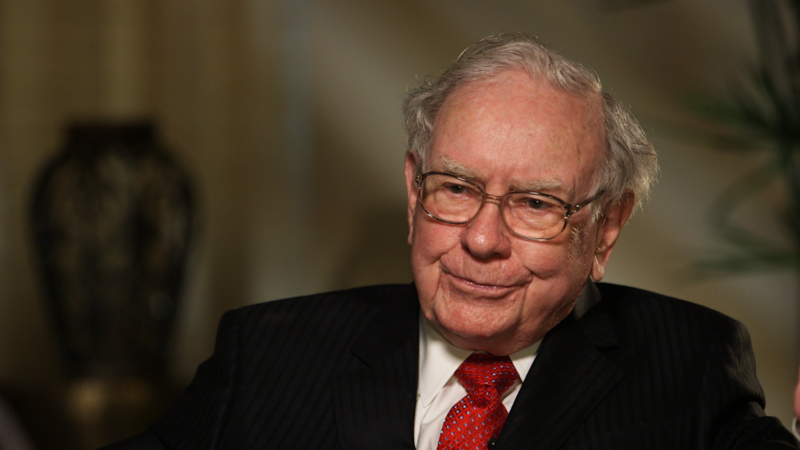 Berkshire is Wells Fargo's largest shareholder. The bank is the second largest holding in Berkshire's portfolio, behind Kraft Heinz (KHC).